Mirin being presented with her certificate of completion by Session Supervisor Jim McDade with some of her colleagues looking on. 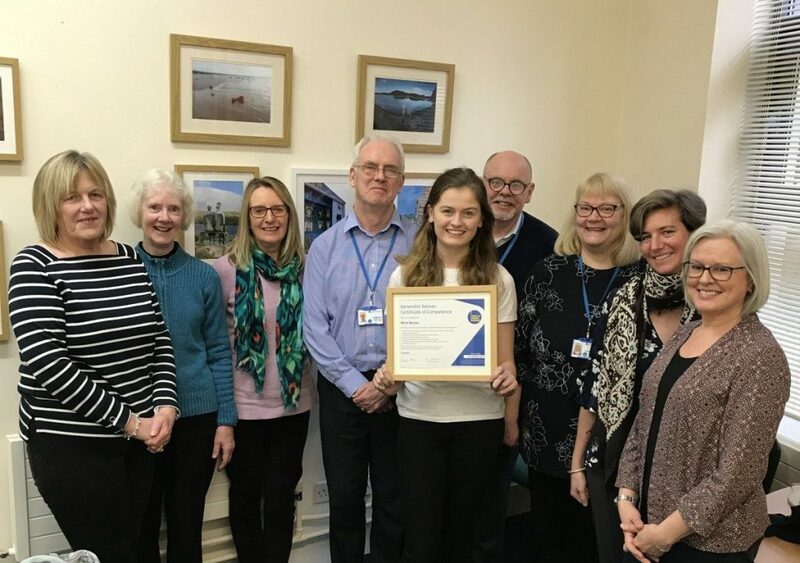 Caption for photo: Mirin being presented with her certificate of completion by Session Supervisor Jim McDade with some of her colleagues looking on. Ever Considered Volunteering at Your local Citizens Advice Bureau?